Orange Beach gulf front condos typically double the annual revenue of other condos, with the exception of the Caribe, which sits on a narrow section of land and offers great views of the Gulf of Mexico and other surrounding waterways. 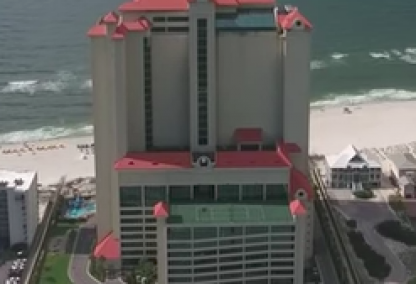 The highest revenue-producing condos in Orange Beach are: Admiral's Quarters, Palms, Phoenix West and Phoenix West II, Regency Isle, Summer House, Sea Chase, Turquoise Place and some of the condos in the Romar Beach area including Windward Pointe and Pelican Pointe. 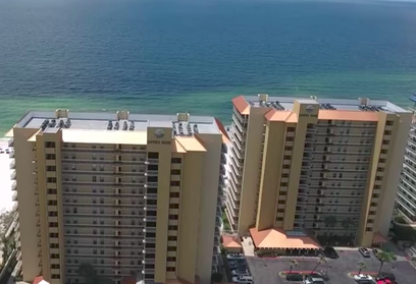 Phoenix condos are numerous and growing with the new Phoenix Gulf Shores and new Phoenix Orange Beach representing their latest gulf front condo developments and likely to follow suit also becoming great revenue producing condos. A great way to filter the best investment condos is to compare the best yield on your money or the best income to cost ratio. Our pricing / square footage and revenue info are great ways to do this from home and we'd love to discuss your thoughts and available any time for just that. Whether investment numbers influence decisions a little or a lot, we can help you get set up right. 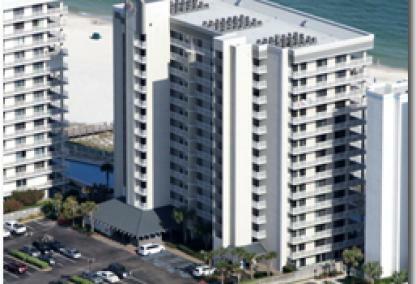 ReadBuilt in 2001, Admirals Quarters is a condo development in Orange Beach just west of Perdido Pass. 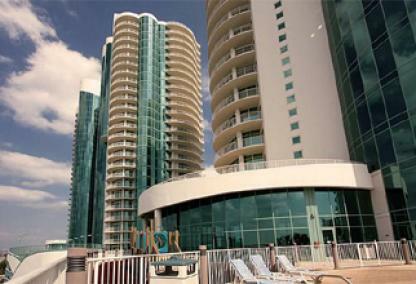 The high-rise condominium holds 114 spacious units ranging from 1,400 SF to 2,500 SF. These well-appointed condos are offered in 2BR, 3BR, & 4BR floor plans. Amenities include a large beachfront pool, indoor heated pool, hot tub, sauna, excercise center, and BBQ area. Admirals Quarters is minutes from attractions such as SanRoc Cay and Zeke's Landing marinas. 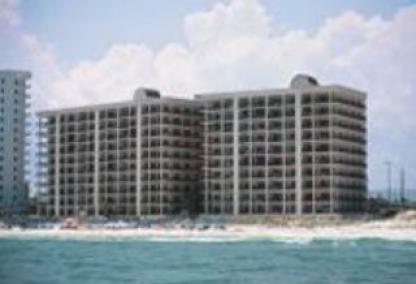 ReadRegency Isle is a 12-story condo development on the east side of Orange Beach near the AL-FL state line. The complex offers 2BR/2.5BA or 3BR/3BA units ranging from approximately 1,300 SF to 1,600 SF. A number of attractions are nearby including the famous Flora-Bama beach bar and Gulf Islands National Seashore. Regency Isle offers a wonderful amenity package including a beachfront pool, indoor heated pool, gazebo area with grills, sauna, fitness center, and covered parking deck. ReadSummer House is nestled in the popular Romar Beach area and close to many Orange Beach restaurants and attractions. Developed in 1985, these two beachfront 15-story towers hold a combined 168 condos. All units are 3 Bedroom/2 bath floor plans providing 1,263 square feet of living area. Corner units boast massive 60-foot wrap around balconies. Summer House features a large split level outdoor pool, indoor heated pool, hot tub, fitness center, sauna, lighted tennis courts, & gated entry. ReadThe Palms condominiums are centrally located in Orange Beach and a short drive to popular restaurants, shopping centers, and entertainment spots. Built in 1996, the complex offers two and three bedroom units with corners units featuring large wrap around balconies. Amenities at The Palms include outdoor/indoor pools, sauna, exercise room, BBQ area, and lighted tennis courts. Beach chair and umbrella service is available in the spring and summer months. 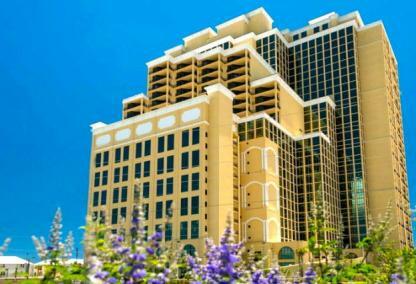 ReadTurquoise Place is a newer condo development in Orange Beach offering luxurious units and amenities. Towers C & D house approximately 400 upscale units with living spaces ranging from 2,300 SF to over 5,500 SF. These condos are elegantly furnished with top-notch appliances, floor-to-ceiling windows, and oversized balconies complete with a private hot tub, outdoor gas grill & refrigerator. Turquoise Place is a high rental producer with amenities such as a lazy river, poolside restuarant & spa. 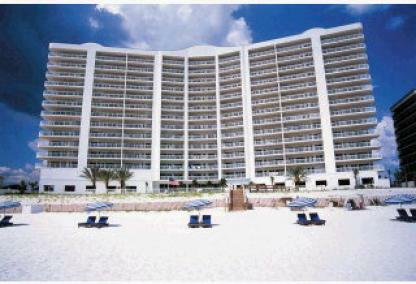 ReadBuilt in 1994, Windward Pointe is a beachfront condominium comprised of 84 units. All condos are 3-Bedroom/2-Bath floor plans averaging 1,250 square feet of living area with oversized gulf-facing balconies. The complex offers a large beachside pool, indoor pool & hot tub, fitness center, lighted tennis & basketball courts, and onsite security. Windward Pointe is a popular vacation destination and is close to a number of shopping centers, entertainment, and restaurants. Just East of Orange Beach sits Perdido Key, Florida. This part of the panhandle is small but is home to one of the region's most beautiful, unspoiled beaches. Much of Perdido Key is narrow and many of the gulf-front condos provide great views of the Gulf of Mexico and offer owners access to deep-water and to Perdido Pass which is the gateway to the gulf. 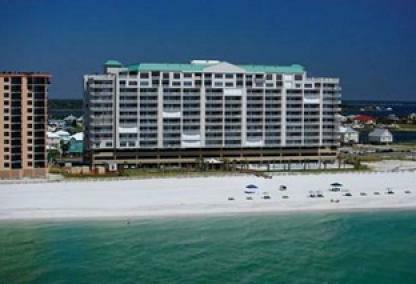 Many of the Perdido Key, FL condos for sale will offer these opportunities. A large portion of Perdido Key is pristine and free from development. There is an abundance of wildlife refuges and state parks as the city is very protective of its natural resources. Pensacola, FL and its regional airport is approximately an hour from Perdido Key. Pensacola is one of the closer metropolitan cities offering plenty of the attractions like minor league ball parks, great restaurants, and large shopping malls. The Lost Key Golf & Beach Club features an 18-hole Arnold Palmer designed golf course and is known for its great landscape. Seen from our Lost Key aerial video, the beaches are close by, and from the air, it's easy to see why Perdido Key is a highly desired vacation destination. The area is laden with creeks, lagoons, bayous, and other inlets making for amazing water front properties everywhere you look. West of Orange Beach is the great and well-known city of Gulf Shores. Being one of the most popular towns among the Gulf Coast has its advantages and Gulf Shores receives a lot of publicity for the area. With great annual events like the Shrimp Festival and the Hangout Music Festival, Gulf Shores is flourishing and growing rapidly with a number of developments. Recent funds from the BP settlement have gone to improve the downtown area allowing for a more pedestrian-friendly environment. Bike paths line the state park and stretch all the way down Fort Morgan road and new paths are consistently being added to improve the cities infrastructure. New projects and pre-construction condo developments are also changing the landscape and new Gulf Shores condos for sale are popping up and fueling the growth.